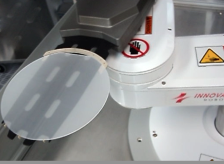 The contamination-free IEG-200/300 soft-touch mechanism with programmable gripping force enables the gripping tips to gently touch (hug) the wafer thus minimizing particle generation while maintaining a secure hold with a constant gripping force. The rotating distal tips allow random wafer access in the cassette with small inter-wafer gaps (down to 5mm). The IEG 200/300 is the industry’s only gripper that comes with a self-centering feature, allowing exact placing of the wafer on a stage or chuck, thus minimizing particle creation associated with friction present during wafer shifts and drops. Optional top-approach or mapper available. Modular design for easy customization. 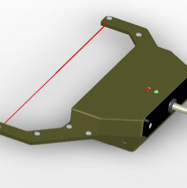 A blade type edge gripper with built-in side through beam is available for detecting empty or cross-slotted wafer in a wafer boat. 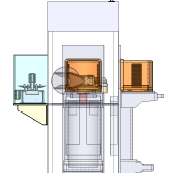 This vortex end-effector provides superior handling of all types of wafers, including thin-wafers, with no contact between the wafer and the end-effector. The minimal required airflow means that the air exhaust creates no more disturbance in the working environment than is created by the robot’s own motion. 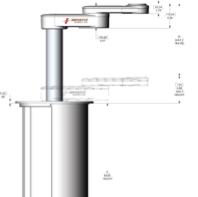 By integrating the soft-touch mechanism, the end effector overcomes any potential problems associated with thin wafer handling such as sideward shifting or rotation. High repeatability can also be achieved with its optional self-centering mechanism.